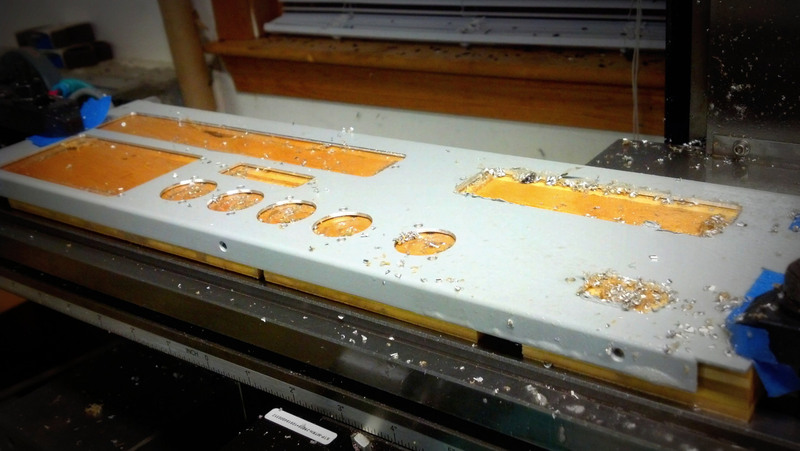 I converted my manual milling machine over to CNC operation in late 2009. The controlling electronics have gone through a few iterations, starting out with some very crude parallel port schemes and finally culminating in a fairly elaborate setup involving a 3.5″ form-factor PC, Mesa FPGA card, and a bunch of custom glue electronics to tie it all together and implement things like the emergency stop loop. 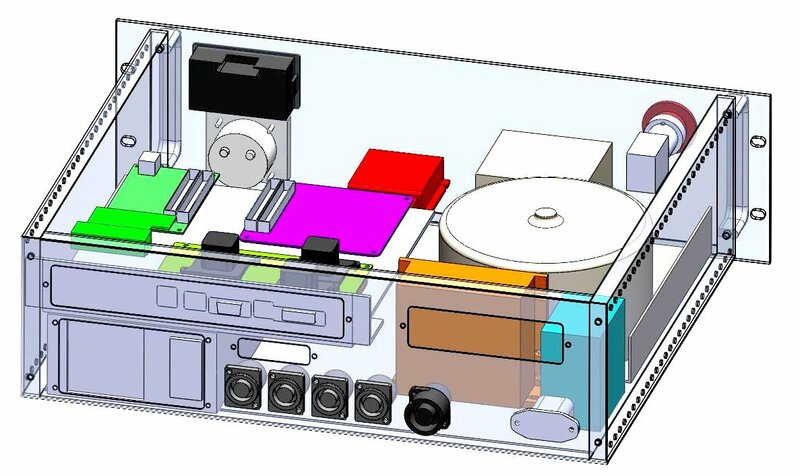 I designed several printed circuit boards (PCBs) for the project, including a main breakout board, a breakout board for the machine end, stepper motor driver breakout boards, etc. 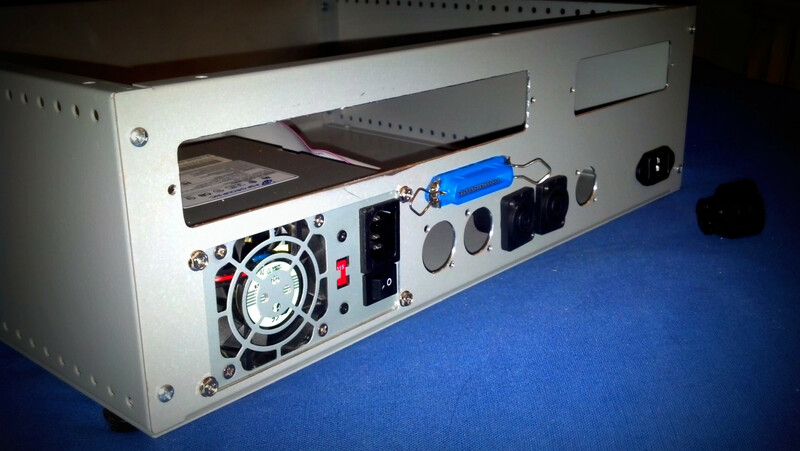 The embedded PC, FPGA card, custom electronics, power supplies, and stepper drivers are all housed in a 19″ rack mount enclosure.